Martin Barbre, Administrator of USDA’s Federal crop insurance program, speaks at the 18th Annual Pennsylvania Crop Insurance Conference in Harrisburg, PA. 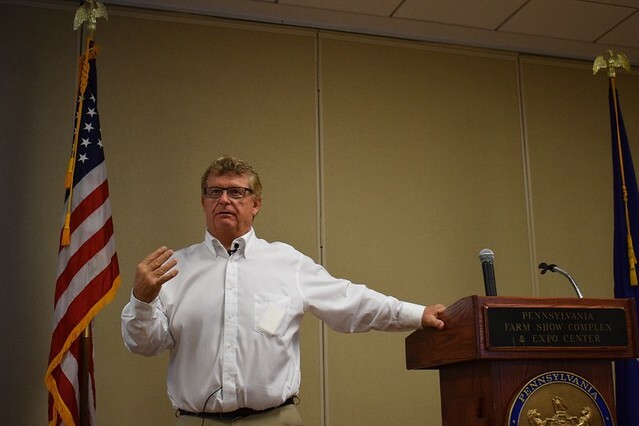 Speaking to attendees at the 18th annual Pennsylvania Crop Insurance Conference, he talked about the state of Federal crop insurance, and broke the news of changes to USDA’s Whole-Farm Revenue Protection Policy. The policy covered nearly $2.6 billion worth of American crops last year, up from $1 billion in 2015. Martin Barbre (left), Administrator of USDA’s Federal crop insurance program, meets with Chris Baugher, owner of Adams County Nursery in Aspers, Pennsylvania. 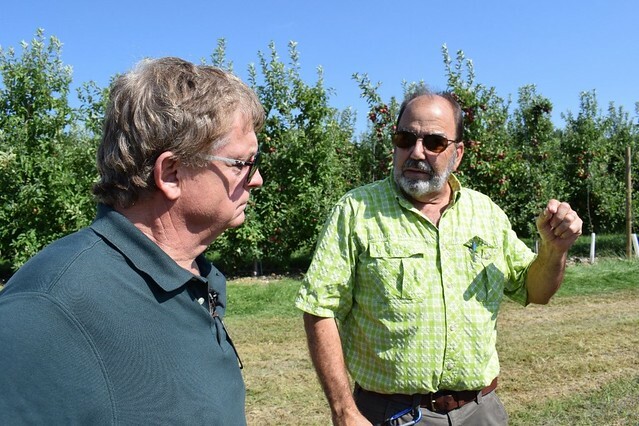 During a three-day visit, Mr. Barbre also traveled to Adams County to tour an apple orchard and tree nursery, as well as a dairy farm in Gettysburg. USDA’s Federal crop insurance program currently covers more than 90 percent of America’s principle crops. Last year in the Keystone State, there were approximately 8,500 Federal crop insurance policies, covering more than $490 million worth of crops. More than $19 million was paid to Pennsylvania farmers for insurance claims caused by natural disasters, such as hail storms or floods. To learn more about Federal crop insurance, Whole-Farm Revenue Protection, and other RMA programs, visit www.rma.usda.gov. 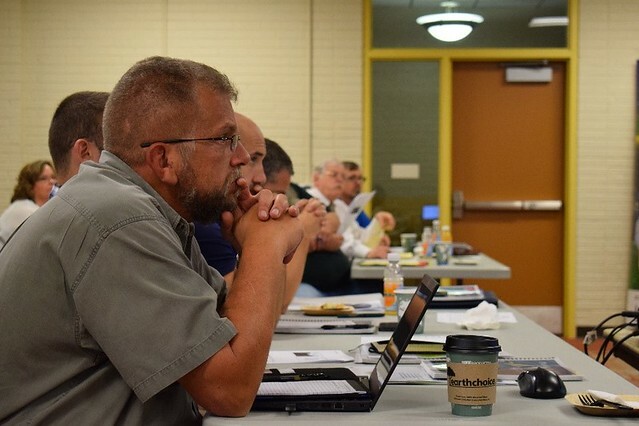 Attendees heard from representatives of the Pennsylvania Farm Bureau, Pennsylvania Department of Agriculture, Penn State, and USDA, about Farm Bill developments, USDA programs, and estate planning.